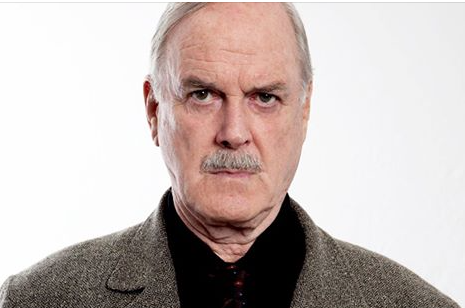 Alerts to Threats in 2015 Europe from John Cleese! Remember John Cleese? he’s funny! Here’s a foto of him to remind you. I have to admit he still looks good! No puffed lips job, no eyes lift and jaws lifts, that give him that permanent surprise look! Of course he looks older, but still handsome and above all natural. And what more he still has a sense of humor! I am sharing this article posted on my private Facebook versus my professional Facebook page. Posted by Raja Choudry who shared Bernadette Bunge’s photo. So now that I have given the credit to where its due I shall copy the article here below for you to read. It’s brilliant. The English are feeling the pinch in relation to recent events in Syria and have therefore raised their security level from “Miffed” to “Peeved.” Soon, though, security levels may be raised yet again to “Irritated” or even “A Bit Cross.” The English have not been “A Bit Cross” since the blitz in 1940 when tea supplies nearly ran out. Terrorists have been re-categorised from “Tiresome” to “A Bloody Nuisance.” The last time the British issued a “Bloody Nuisance” warning level was in 1588, when threatened by the Spanish Armada. Read it again and laugh some more! With all that’s going on in the world around us we have to laugh a little so we can un-tense a little! Perhaps you’d like to follow me on twitter and on my professional Facebook. Also my old blog since 2006 which is continuing with a new name www.zyenablog.com which you might like to visit and follow, to read about more serious stuff i.e. self development, consciousness expansion, spirituality. Zyena is Eagle in Sanskrit. This entry was posted in activists, balance, consciousness, cosmic laws, Education, empowerment, energy, enlightenment, goodness, goodwill, harmony, health, heart consciousness, history, human rights, intelligence, justice, mind, peace, physics, politics, Religion, terrorism, universe and tagged australia, belgians, brussel, cleese, english, french, germans, greece, history, iranians, italians, nato, navy, rome, scots, spanish, terrorists on 13/09/2015 by mkirtikarphd.